Ophrys bertolonii is a rather small plant with a height of 10 to 35 cm. Above the rosette of the foliage leaves the stem carries a inflorescence with 2 to 8 flowers. The sepals are spreaded, the petals are narrow and relatively long. 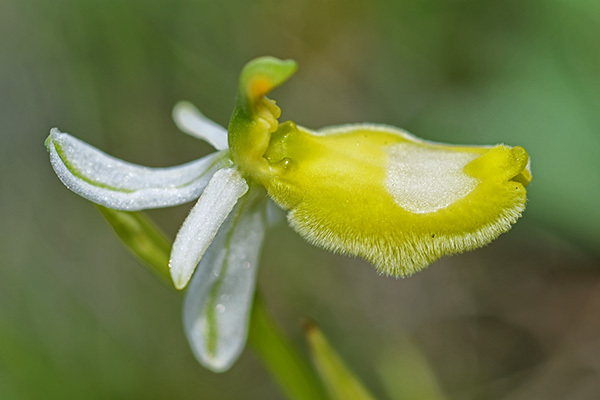 The labellum is bent inwards and has no protuberances. It is densely haired at the edges. The appendage is directed forwards. The name of the species refers to the Italian botanist Antonio Bertoloni (1775-1869). The plant was first described by the Italian botanist Giuseppe Moretti (1782-1853) in De quibusdam Plantis Italiae (1823). The flowers of Ophrys bertolonii usually have very intense colours. The sepals are light pink to purple, the petals are darker. The labellum is deeply brown with a distinct marking in the lower centre. 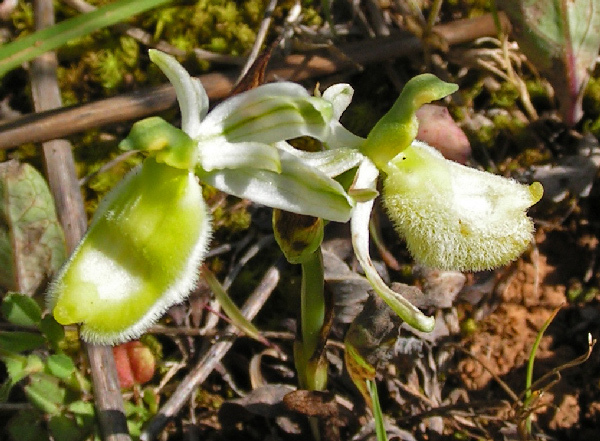 Variability of this species is rather limited (Pierre Delforge, Guide des Orchidées d’Europe. 2005, p.613). In rare cases green sepals have been observed. Plants without colour pigments in the flowers are not mentioned in the literature up to now and must be very rare. 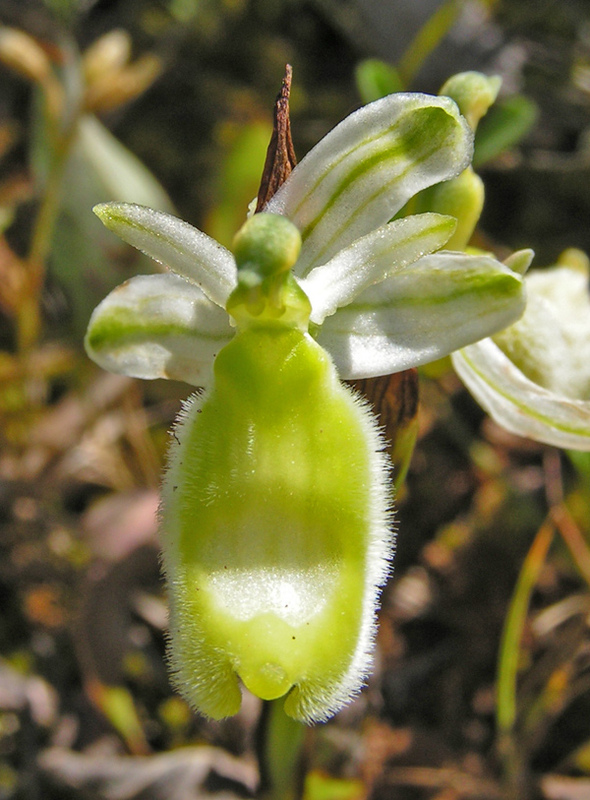 The only remaining pigment is chlorophyll, which gives the flowers a green colour with a white marking on the labellum and white hairs. Ophrys bertolonii is growing on meadows in Italy and Croatia, some subspecies also in neighbouring regions. Bloom is from March to May.